Looking for a swap more interesting than another LS? Consider this instead. The Ferrari Testarossa marked two lasts for Ferrari: its final flat-12 powered road car, and its last mass-produced, 12-cylinder, mid-engined car. These two things also cemented the Testarossa's importance in the sportscar's history, while the TV show Miami Vice gave it its place in the general consciousness through popular culture. Key to the Testarossa (along with its 512 TR and M variants) is its 4.9 liter, dual overhead cam Tipo F113 flat-12 engine. Even in its least powerful form, it hurled out 375 horsepower from the factory, with later variants making as much as 434. One of the Tipo F113 Ds (reportedly 428 horsepower and 362 pound-feet of torque) from a 1993 512 TR surfaced Monday on Bring A Trailer, hailing from the same collector that auctioned a twin-turbo V-8 from a Ferrari F40 last week. 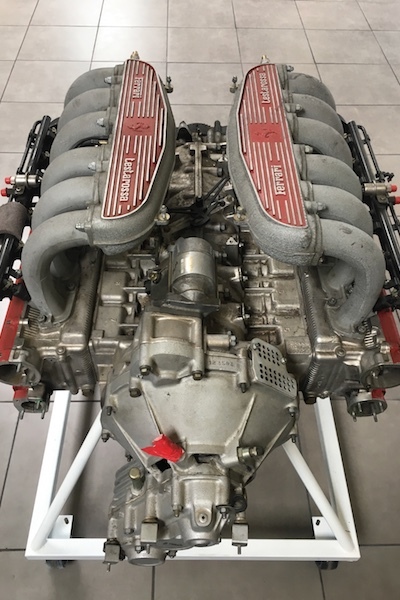 As with the F40 engine, this engine was pulled from its owner's car, turned into a display item, and then ignored for the better part of two decades before being listed for sale online. 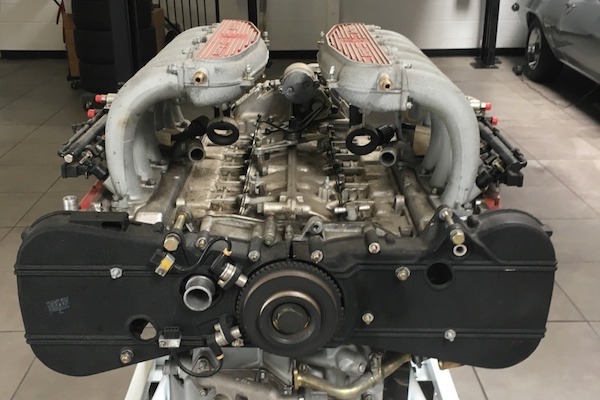 The auction listing stated it had its cylinder heads swapped for those from a 512 M, and also comes with the original five-speed transaxle, along with the factory clutch and flywheel. Interested buyers should note that its exhaust manifolds are not included, and that its engine control units are missing; factory parts must be sourced or carburetors installed for this engine to run. Despite the above title, swapping this F113 D into any old car is admittedly a bit of a pie-in-the-sky prospect. The engine's dimensions as an overhead cam flat-12 give it the width of similar opposed-cylinder engines like those made by Porsche and Subaru, while its length is akin to that of many inline-six engines. Furthermore, the transaxle is designed for a mid-engine, rear drive configuration, and is likely useless unless the engine is to go into another Testarossa. Maybe it's unrealistic to suggest this as a swappable engine, but there are crazier things than Ferrari engine swaps. 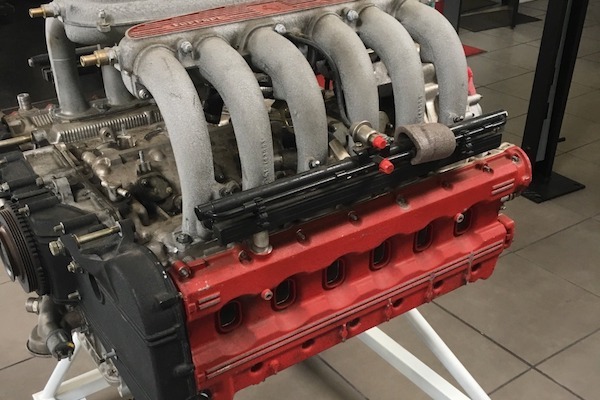 With fabrication skills, a little imagination, and boatloads of cash, anything is possible—emphasis on the money, as that Ferrari F40 display engine auctioned by this seller went for $88,040. We wouldn't be surprised to see this engine sell for almost as much. What do you get when you combine a wet road, an Italian supercar, and an inexperienced driver? An insurance payout.